Melia Hotel Kuala Lumpur DescriptionThe first hotel in Malaysia to receive the certification for excellent services in the hospitality industry, Melia Kuala Lumpur guarantees the best of service and comfort for a memorable stay. This international hotel is located opposite of Times Square Shopping Centre, a one-stop entertainment centre that includes an indoor theme park, retail outlets and IMAX theatre. The hotel is placed amidst business complexes, major shopping malls and entertainment spots in the city centre of Kuala Lumpur. 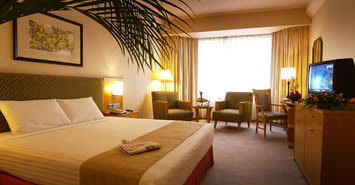 The property comprises 302 guestrooms that are available in different categories. On-site dining options include a coffee house and a lobby lounge. 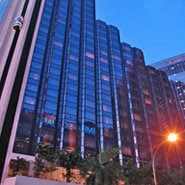 Melia Hotel Kuala Lumpur also offers 7 meeting and banqueting rooms with capacity for up to 320 people depending on set-up. After a tiring day of business, simply relax in the outdoor pool or visit the local attractions.